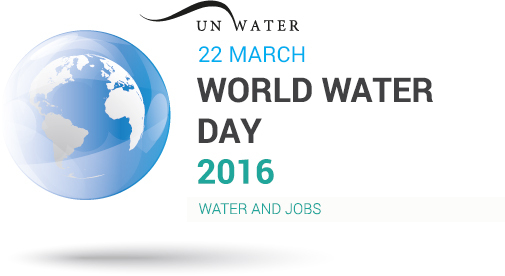 World Water Day 2016 is focused on ‘water and jobs’. Its aim is to clearly identify the role played by water in creating and supporting high-quality jobs. A perfect opportunity then for the Saur Group to highlight and celebrate an area of expertise that is central to the water management challenges of today and tomorrow: that of the schedulers. Our schedulers have to be responsive, transparent and realistic in the central role they play to ensure high-quality water treatment and supply. As part of its response to the new challenges posed by water and the needs of local authorities, the Saur Group has opened 8 Operations Control Centres (OCC©) since 2007. As powerful central hubs for controlling, managing and analysing water supply and wastewater treatment data on behalf of local authorities, our OCCs© are revolutionising the industry. They are enabling local authority councillors to take back control of their water services by providing them with a real-time comprehensive overview of the service delivered in their area. These response control, resource allocation and water data collection and analysis centres have facilitated the emergence of a completely new kind of career: the scheduler. With a role similar to that of an airport air traffic controller, schedulers are central to this innovative organisational model. Their role is to coordinate and control the work carried out daily by 4,000 Field operations staff in order to deliver more effective management, better traceability and improved optimisation of human resources and responses. Rapid decision-making and the ability to analyse and check the quality of operational data: schedulers have to be thorough, responsive and attentive in order to identify the right technical solutions and take effective decisions on behalf of their colleagues in the field. As part of its digital transition programme, Saur has deployed a series of innovative tools that enable a comprehensive and reliable level of analysis and a higher level of field operations efficiency, at the same time as improving data gathering and providing fully transparent communication with local authority clients. 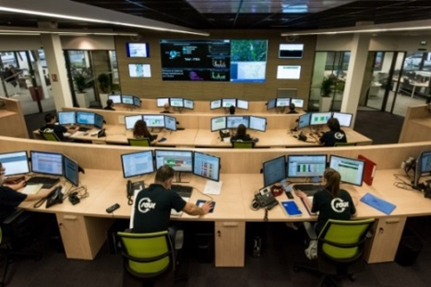 For example, schedulers can rely on Geremi to view and analyse alarms and remote monitoring data. They also use a unique response scheduling tool known as PDI and can view all resources and events in map form via the Webcarto shared GIS system. Scheduling also demands a very clear understanding of field operations and local authority clients, as well as an overview of the business as a whole, which is why schedulers must have substantial background in operations. So when they make the transition to becoming schedulers, they build on that experience to learn the completely new job. The Saur Group facilitates that transition by providing specially tailored training programmes. As part of ensuring cohesive teamwork and optimising personal interaction, all schedulers spend several days every month working alongside the field operations staff they coordinate. The support provided by experts in specific fields is another essential resource for schedulers. These experts may be chemists, hydraulic engineers or even cartographers, who contribute their technical or mathematical knowledge to back office functions to interpret the mass of data uploaded by field operations staff and all the sensors installed in the water supply system. Complementing the work done by schedulers, the analyses conducted by these experts will enable trends to be identified, give everyone involved a much clearer understanding of a given region, and therefore facilitate the process of anticipating and prioritising field operations and investments.